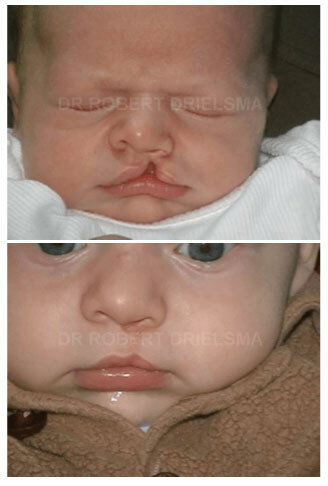 Below are some examples of Cleft Lip and Palate Before and After Photos by Dr Robert Drielsma, one of Sydney’s leading specialist breast surgeons. 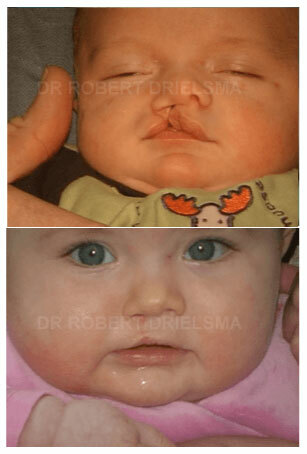 Cleft Lip and Palate procedures in Sydney by Dr Robert Drielsma. 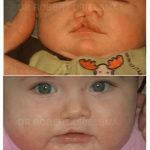 Cleft lip and Palate is a birth defect that affects approximately one in a thousand newborn children. Hereditary factors are important to this occurrence but often no cause or connection is found. 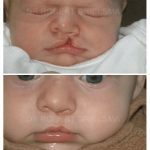 Cleft lip can also involve one or both sides of the lip. 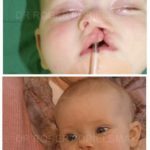 With over 25 years experience Dr Drielsma has undergone extensive training in paediatric plastic surgery and in particular surgical management of cleft lip and palate. Surgical management can be undertaken at the Prince of Wales Private Hospital in Sydney. View the many before and after results showcased above. These are typical, 100% realistic results that you too can achieve. 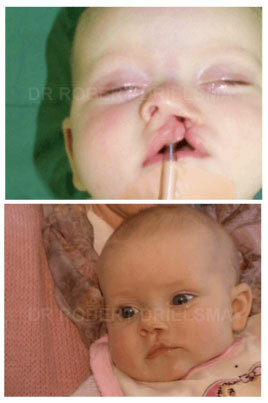 More examples of Cleft Lip and Palate Before and After Photos are available at our clinic. These can be viewed during your consultation as some previous patients prefer we show their before and after images in our clinic. Dr Robert Drielsma, a highly experienced specialist plastic surgeon, focuses on natural-look results that can help you balance your natural proportions. He only operates from accredited major hospitals using only experienced anaesthetists, with a top team of surgical support staff. During your consultation, Dr Drielsma will discuss your desires and options, ensuring you are informed on your achievable options. Call on 1800 180 777 to arrange your surgeon consultation appointment. Book a consultation with Dr Drielsma by paying the $150 deposit for consultation fee. Want more information before scheduling your Surgeon consultation? How Soon Can I Exercise After Breast Reduction Surgery? How Much Does Breast Reduction Surgery Cost? Top 3 Reasons Breast Reduction Helps! What is Normal During Breast Reduction Recovery? 5 Reasons You Need a Body Lift after Weight Loss! Top 9 Reasons For A Tummy Tuck After Weight Loss or Pregnancy! Top 3 Breast Lift Techniques and Why the Lollipop Breast Lift is so Popular! *Disclaimer: Results can vary significantly based on individual patient circumstances. Results can also be impacted by a range of factors including patient lifestyle, weight, nutritional intake, overall health and medical history. Consult your plastic surgeon for details. The information on this website is general in nature and is not intended to be medical advice nor should it constitute a doctor-patient relationship. Risks and complications associated with surgery will be covered in detail during a consultation with your Surgeon.